Amber Road is proud to be a Silver Sponsor at the 2019 Gartner Supply Chain Executive Conference - A New Era: Converging the Physical and Digital Supply Chains. Learn how supply chain leaders can deliver sustainable commercial success in this bold, new world. Whether you’re trying to innovate your supply chain operations, enable a deep transformation or expand on your current digital initiatives, this year’s conference will help you determine how and where to concentrate your efforts, from technology to leadership. Is your organization compliant? Join Amber Road during the 2019 ICPA EU Conference which gathers European trade compliance experts to discuss about challenges and opportunities of the current global trade compliance landscape. The chance to exchange thoughts and ideas with your fellow business leaders might be the extra boost your organization needs. Besides, our Amber Road team is looking forward to meeting with you at our booth, ready to answer your supply chain needs from Sourcing to Delivery, covering the entire supply chain. 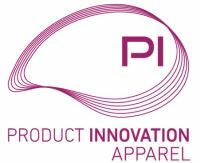 Join Amber Road at PI Apparel which brings together the fashion, apparel and footwear industry to discuss the challenges and technologies disrupting the industry. Join us in Manhattan, the heart of New York City, as we explore the strategies and technologies employed by some of the most progressive companies Worldwide. If there is one supply chain conference you don’t want to miss this year in Europe, it’s Gartner! Amber Road is proud to be the official sponsor of the 2019 edition in Barcelona. Join us there to discuss about your supply chain challenges, from sourcing to end delivery, and ask for a free ROI simulation at our booth! To get discounted tickets, please reach out to us. Join Amber Road for this two-day event in beautiful New Orleans, LA that will give customs brokers, freight forwarders, NVOCCs, OTI, service providers, importers, exporters and all global logistics professionals an opportunity to update themselves on industry developments and connect with colleagues new and old. Get an opportunity to voice your questions to federal, state and industry experts about the latest issues affecting your business! Join Amber Road at the NAFTZ 2019 Annual Conference and Exposition. Industry Professionals and partners will challenge themselves to take trade to new heights at the Annual Conference & Exposition. Attend this 4-day event and gain a lifetime of resources, relationships and regulation updates that you can enhance and build upon each year and event cycle. Join Amber Road at the University Export Controls 2019 Conference. Comprehensive & Practical EAR, ITAR & OFAC Compliance Training Focusing on the Issues Relevant to Universities, Research Laboratories & Companies that Collaborate with these Organizations.